Fairytale landscapes, traditional Bavarian cuisine, scenic cycling routes along the back roads of Germany. 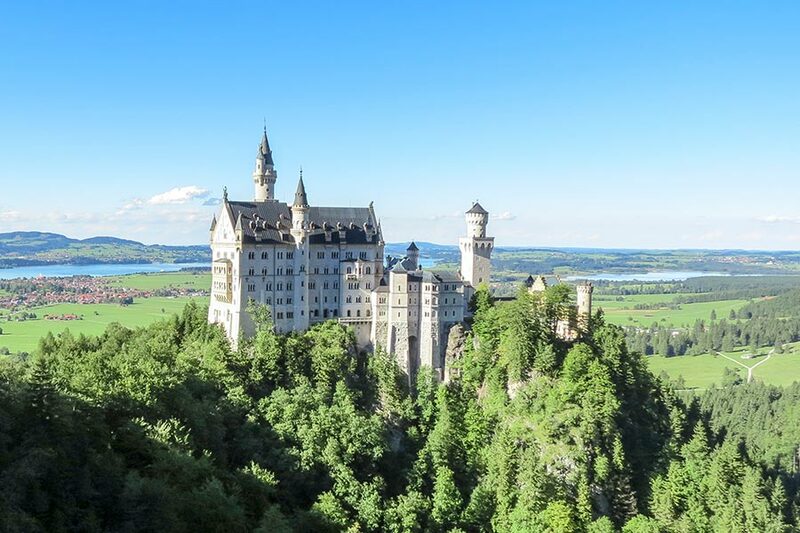 Germany's oldest and most celebrated tourist route, the Romantic Road takes the traveler through a rich heritage of Bavarian history, art, and culture. Baroque gardens, rococo churches, fairy tale castles, towers, and gateways that speak of mystery and intrigue these are some of the hallmarks of our German tour. 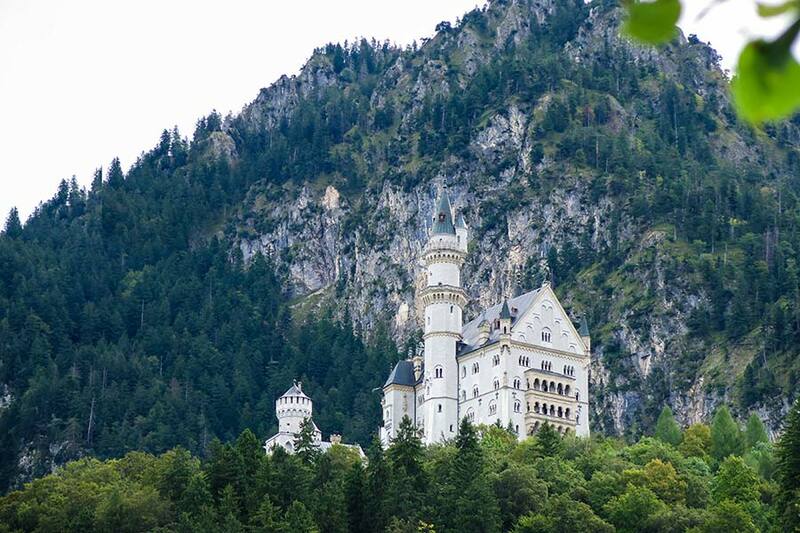 The Romantic Road offers historical drama extending from Roman times to the present day. The actors are the emperors, kings, nobles, burghers, and peasants. The set varies from magnificent residences, monasteries, cathedrals, and castles in an ever-changing landscape from Wurzburg to the foot of Austrian Alps. 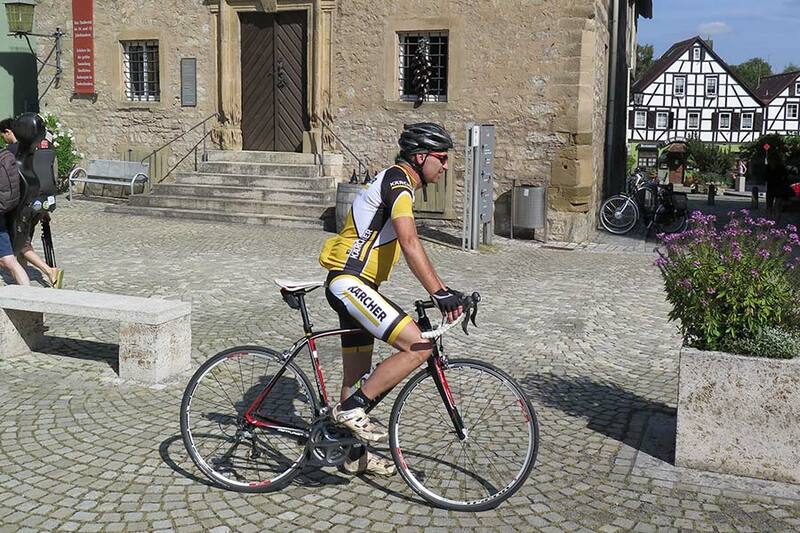 Indeed, the Romantic Road personifies the fine art of bicycle touring. With an incredible network of cycling paths, you see more of the Bavarian countryside, away from traffic. 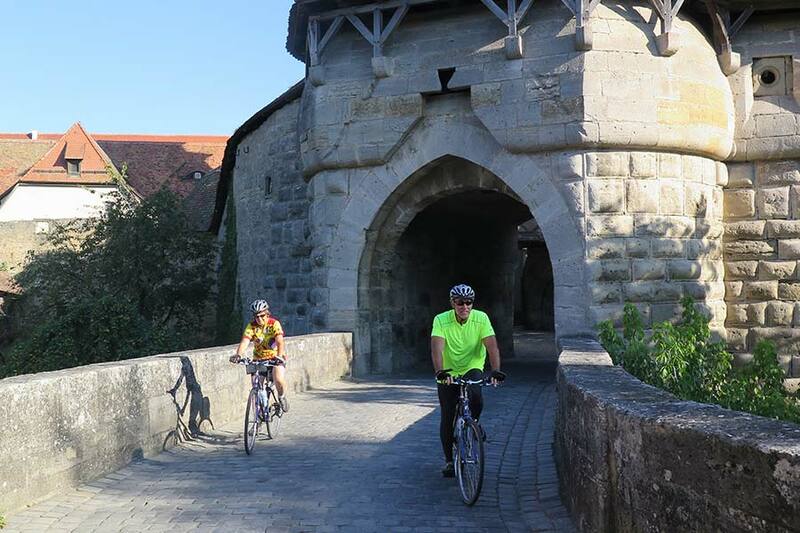 From Wurzburg to Rothenburg, the Gem of Germany, to the fairy tale castles of King Ludwig II perched on the cliffs of the Alps, we'll cycle through the river valleys and forests of southern Germany. We think you will agree this is a once in a lifetime trip through one of the most beautiful and historic areas in all of Europe. Meet in Wurzburg. Tour old city and the palace of the Prince-Bishops of Wurzburg. Bicycle fitting, wine and cheese reception, followed by dinner. Day off from cycling. Transfer via rail to Augsburg, the second largest city in Bavaria. Take the day to shop and visit cathedrals and museums of this ancient Roman city. Afternoon train to Landsberg, a fortified border town separating the duchy of Swabia from that of Bavaria. Historic walls, towers, and gates are some of the best preserved in Europe. Be sure to visit the Bavarian Gate. Flat to rolling terrain, with several short climbs on 4 rides. Much of the ride is on bicycle paths, with mostly easy terrain and reasonable distances. 25-40 miles per day with options.